Reaching for the SKY! Open water swimmer at the 2015 LandShark Swim or Aquathlon in Amesbury, MA. 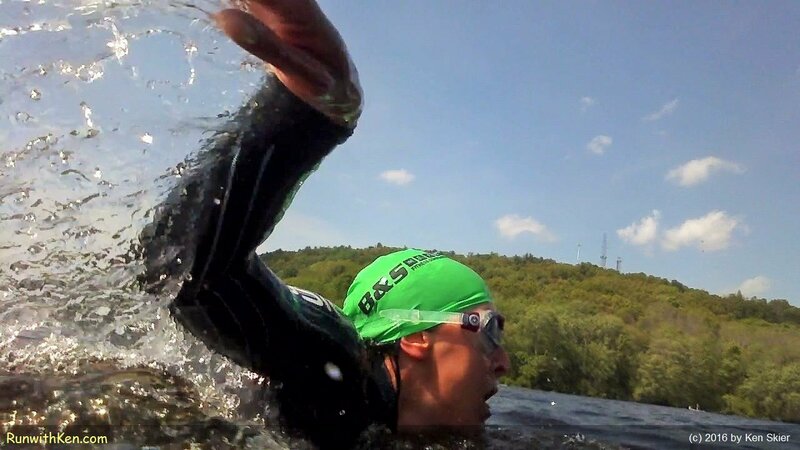 It's Open Water Swimming Season in New England! I took this photo of an open water swimmer last year at the 2015 LandShark Swim in Amesbury, MA. (Yes, I was swimming at the time. Just an arm's length away from this swimmer. Hope to see YOU there tomorrow, at the 2016 Landshark Swim! (Not registered? Don't worry. It's not too late! This is the start of the best time of the year!